Football is a wonderful game that can be played and enjoyed by anyone. Whether you’re a seasoned player or just starting out, you will find there are so many benefits to this beautiful game. You can take part in walking football, casual 5 a side games or a full match to suit your ability and fitness level. So, we know football is fun to play, but what are the other benefits of this great sport? There are quite few! Although football is an impact sport and there is a small risk of injury, the benefits to your fitness far outweigh this. The 90 minutes of exercise is great for your cardiovascular health and helps to avoid illnesses and diseases. Playing football each week can lead to fat loss and increase muscle toning. It is also said that football can help strengthen your bones. It all sounds great, right? The more football you take part in, the better you will become at the game and the more strength you will gain. Focusing on the ball, weaving around other players and intercepting the ball requires a certain amount of coordination. The more you play the more coordinated you will become. You will find yourself thinking faster and making better decisions as to which way you need to go in order to play the ball correctly and win the game. A full match of football is 90 minutes long. Although you get a short break at half time, that is a long time to spend running up and down a pitch. Your stamina will improve week on week and you will love how much more persistent you can become with your body when it comes to exercise. Football is a wonderful hobby that you can play almost anywhere! You will pick up so many skills along the way. The more you play, the more your crosses and Cruyff turns will come along; you and your skills will be the envy of the pitch! Playing a team sport is a fantastic way to meet new people and make new friends. If you have just moved somewhere new or want to become more involved with your local community, joining the local football club is a fantastic way to socialise with others and get to know people in your area. You already have a common interest in football, and team sports invoke a camaraderie between people, so you will fit in in no time. Exercise not only helps your physical health, but it also has a great impact on your mental health. When you exercise, your body releases endorphins which triggers a positive feeling. Playing in a team, having a routine of where and when you need to play matches and doing something you enjoy are all factors that are beneficial to your mental health. Once you understand how your fellow players work and how they play, you can get a fantastic rhythm going which can really tip the scales in your favour of winning the game. Some players like to take chances for their own selfish reasons, but once they accept that the game will work more smoothly if they work closely with other players, the team will click and every game will be great fun to play! 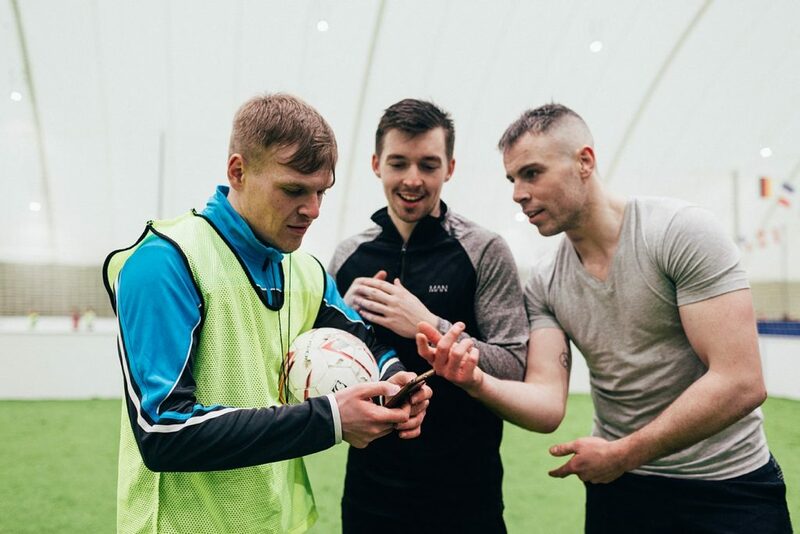 If you want to get back in to football and you’re looking for a place to get started again, why not bring some friends along to our state of the art indoor soccer dome. Find out more about prices and how to book here.